Clear your social calendars, cancel your Margarita Mondays, and cash in those sick days because the entire series of Gilmore Girls is officially on Netflix Wednesday. It's been six years since that final kiss between Lorelai and Luke, but the nostalgia is clearly as strong as ever. And as we return to our beloved characters, whether its Rory or Jess, or Sookie or Jess, or Emily and Richard... or Jess, we're reminded of just how awesome the residents of quirky little Stars Hollow were. 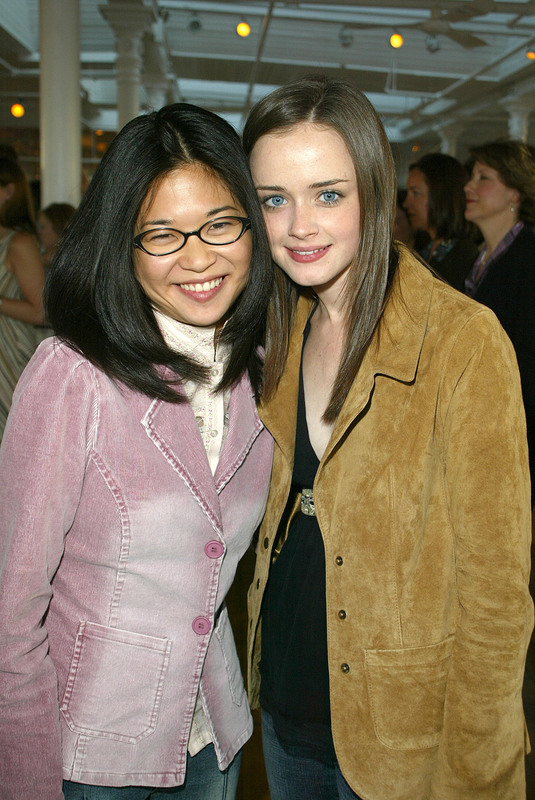 And that includes Rory's best friend, Lane Kim (Keiko Agena). In 2007 Keiko not only wrapped up her seven-year stint on Gilmore Girls (with twins for Lane!) but also a five-year role as the voice of Yori on Disney's Kim Possible. Keiko is still a presence on television, but she's got plenty of other things taking up her time as well (including a band!). The former Lane Kim has shown up for guest stints on a number of acclaimed television roles since her time on Gilmore Girls, appearing on the likes of ER, House M.D., and Castle. Agena also had a three-episode arc on Shameless and played doomed White House press secretary Britta Kagen on Scandal, where she became "collateral damage" in Verna Thorton's failed assassination attempt on President Fitzgerald's life. Keiko also appeared as Frances McDormand's aide in Transformers: Dark of the Moon. It's not exactly as cool as being best friends with Rory Gilmore, but it will do. And she hasn't given up voice work, lending her talents to LearningTown as the voice of BirdBird. Which is pretty adorable. When Agena is not on the screen, she's on the stage. The actress is a seasoned improv comedy vet, and she performs with the sketch comedy teams Ham Radio, RJP, Hometown and the Upright Citizens Brigade's Wild Caught. And if that wasn't enough, she also voices puppets for Unstrung Heroes, a puppetry performance collective. If you're lucky enough to be in the Los Angeles area, Agena lists her entire performing schedule on her blog, so get on it, Gilmore fans. Agena regularly jams with band Flying Platforms, which has a monthly residency at the Grandstar Jazz Club in downtown Los Angeles. The band was formed by Agena's hubbie Shin Kawasaki (life imitating Amy Sherman-Pallidino's art much?). On her blog, Ageno describes the blog as a "mixture of cyberpunk-infused live-tronic jam and an otherworldly aesthetic." Could anything make Lane more proud? Maybe just a dash of purple hair.